The self-exiled Russian tycoon Boris Berezovsky was found dead in his home outside London on Saturday. Take a look at the highs and lows of a controversial man once seen as one of the most powerful Russians in recent history. 1946 – Boris Berezovsky is born in Moscow to an engineer father and a scientist mother, who were both Russian Jews. 1962-87 – After receiving degrees in electronics and mathematics, Berezovsky writes his doctoral thesis on cybernetics and information theory. He rises to become the head of a large department at the Institute of Management Problems. 1987-89 – After abandoning his research career, Berezovsky looks for business opportunities as private economic activity was permitted for the first time since the 1920s. He also moonlights as a columnist for Sovetskaya Rossiya newspaper, publishing articles on economic reforms. 1989 – Boris Berezovsky co-founds LogoVAZ, initially a company that installed sophisticated Western software in Ladas, but eventually the main source of his wealth. Early 1990s – LogoVAZ becomes the leading dealer of AvtoVAZ, the makers of Lada, but its economic activities mostly siphon off money from the parent company. Among the various schemes were the purchase of cars at below-cost, or securing purchases with IOUs that had to be repaid only years later. The dealer is not shut down because Berezovsky pays kickbacks to the management of the parent company. Berezovsky also issues shares for a future “people’s car” that is never built. 1994 – Souring relations between the tycoon and his car-making associates are suspected to be the reason for a car bomb assassination attempt. An Opel stuffed with explosives is remotely detonated and decapitates the chauffer of the tycoon’s armored Mercedes, leaving Berezovsky himself virtually unharmed. 1995 – Berezovsky becomes the biggest individual shareholder in ORT, a new company in charge of Russia’s first and biggest channel. Over the next five years, the channel’s political programming falls in with Berezovsky’s business and political agendas. 1996 – Berezovsky forms Semibankirschina (literally, the Rule of Seven Bankers, whose companies were estimated to control more than half of Russia’s private economies) a clandestine group of rival businessmen who pooled their money, connections and media presence to re-elect President Boris Yeltsin for his second term in 1996, despite initially low poll ratings. Berezovsky is appointed to Russia’s Security Council, and placed in charge of re-building Chechnya following its secession war that ended earlier that year. He is later accused of staging fake hostage rescues – helping terrorists arrange kidnappings, and then paying the ransoms himself. The tycoon touts himself as a negotiator and peacemaker. 1997 – Together with protégé Roman Abramovich, Berezovsky completes the purchase of Sibneft, one of Russia’s biggest oil producers for a relatively paltry sum of $100 million, partly through notorious loans-for-shares auctions. Forbes estimates his wealth at $3 billion. 1999 – Berezovsky plays a key part in promoting Vladimir Putin as Boris Yeltsin’s successor, and helps fund the Unity bloc (the predecessor of the ruling United Russia party). Berezovsky himself becomes a deputy. 2000 – Just months after Vladimir Putin’s election to the Kremlin, relations between the two men sour. Berezovsky hands in his party mandate, and lambasts the President. Meanwhile, an investigation of embezzlement from Aeroflot, the national carrier, which was started two years earlier, identifies Berezovsky as a key suspect. Aeroflot deposited its income from foreign ticket purchases into an account owned by the oligarch, and also borrowed money at extortionate rates from a company that he owned. 2000 – Berezovsky flees Russia and settles in Britain where he outspokenly criticizes the Kremlin and supports Russian opposition forces. 2003 – The United Kingdom officially grants Berezovsky asylum status. Once in the United Kingdom, Berezovsky continued to express his dissatisfaction with the Russian government. In September, he and four others signed a full-page advertisement in leading US and UK newspapers that criticized the strengthening of relations between former US President George W. Bush and Vladimir Putin. 2006 – Berezovsky told a Moscow radio station that he wanted to see the Russian government overthrown “by force.” This led Jack Straw, then foreign secretary, to warn that "advocating the violent overthrow of a sovereign state is unacceptable," reminding the tycoon he could be stripped of his refugee status. Meanwhile, the Kremlin subsequently sent an extradition request to London. The request failed, however, when it was ruled that Berezovsky could not be extradited as long as he enjoyed asylum status. – On November 1, Aleksandr Litvinenko, a former Russian security officer and colleague of Berezovsky since at least 1998, suddenly fell ill in London. It was determined that Litvinenko had been poisoned by radioactive polonium-210, which resulted in his death on November 23. At the time of his mysterious illness, Litvinenko was residing in a house owned by Berezovsky, but shortly before his death had stopped working for the former Russian magnate. Yet British authorities demanded the extradition of former security officer Andrey Lugovoy, whom they accused of Litvinenko's murder - without providing Russia with any evidence. Lugovoy vehemently denied the accusations against him and passed a Russian lie detector test. 2007 – In an interview with The Guardian on April 13, 2007, Berezovsky once again declared that he was plotting the violent overthrow of President Putin by lending financial support to coup plotters in Moscow: "We need to use force to change this regime. It isn't possible to change this regime through democratic means. There can be no change without force, pressure." Soon after Berezovsky's comment, Garry Kasparov, a member of The Other Russia party, wrote on his website that Berezovsky “does not have any relation to Other Russia.” Berezovsky responded by saying that "there is not one significant politician in Russia whom he has not financed" and that this included members of Kasparov’s party. In July, the Federal Court of Brazil passed a resolution to issue an arrest warrant for businessman Boris Berezovsky and several officials of the Corinthians soccer team. All were accused of money laundering through the transfers of the Brazilian club’s top players – Argentines Carlos Tevez and Javier Mascherano, who played for the Brazilian side in 2005-2006. The businessmen, including Berezovsky, denied all allegations. blackmail and breach of contract ” over the privatization of Sibneft. 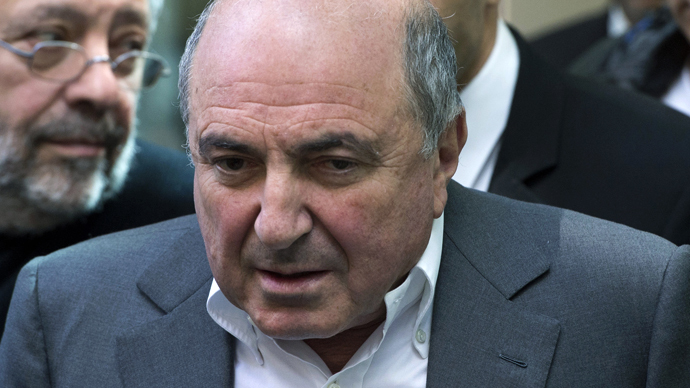 Berezovsky, who claimed he had been a co-owner of Sibneft, attempted to sue for over 3 billion pounds in damages in what would become the largest civil court case in British legal history. 2012 – On August 31, Berezovsky lost his court bid against Abramovich. The court judged Berezovsky an "inherently unreliable " witness, who "regarded truth as a transitory, flexible concept, which could be molded to suit his current purposes ," and that "At times the evidence which he gave was deliberately dishonest; sometimes he was clearly making his evidence up as he went along in response to the perceived difficulty in answering the questions. 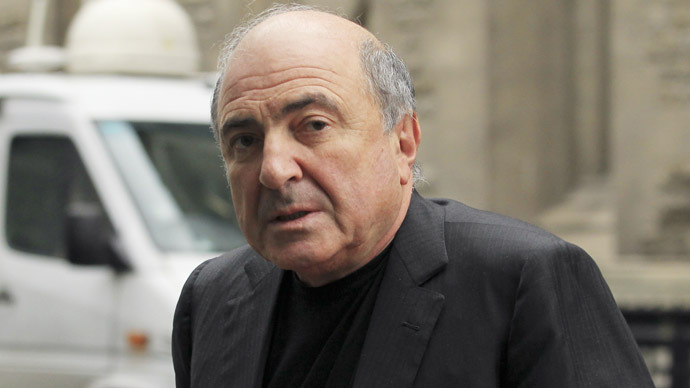 ” The London High Court concluded that Berezovsky had never been a co-owner of Sibneft. Berezovsky agreed to pay 35 million pounds (US$56 million) toward Abramovich's legal costs. The UK court battle between Berezovsky and Abramovich brought the word “krysha” to the world’s attention, as well as other slang used by Russian criminal groups. The direct translation from Russian into English is “roof”. But in criminal Russian it means coverage for somebody from someone in the form of influential people, such as law-enforcement staff, gangsters or power institutions. Reportedly, Berezovsky claimed that Abramovich used to pay him for krysha. 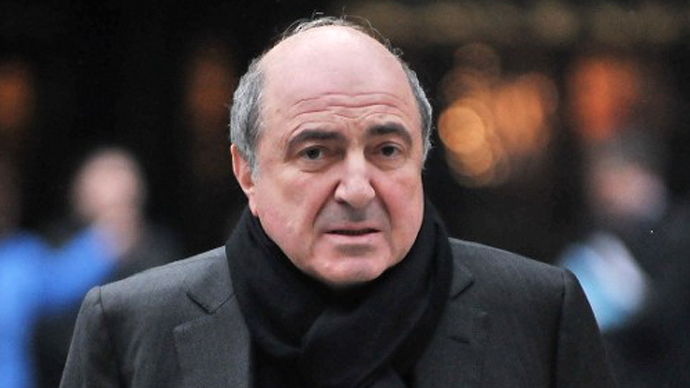 On March 23, 2013 Boris Berezovsky died at the age of 67 under “unexplained” circumstances. Hazardous material experts from the British police searching the home of Berezovsky have given the scene the “all clear” after finding "nothing of concern." Berezovsky's lawyer Aleksandr Dobrovinsky told Russian television that Berezovsky “has been in a terrible state as of late. He was in debt. He felt destroyed. He was forced to sell his paintings and other things."